Dez Mona and Johannes Verschaeve of The Van Jets switched dates! 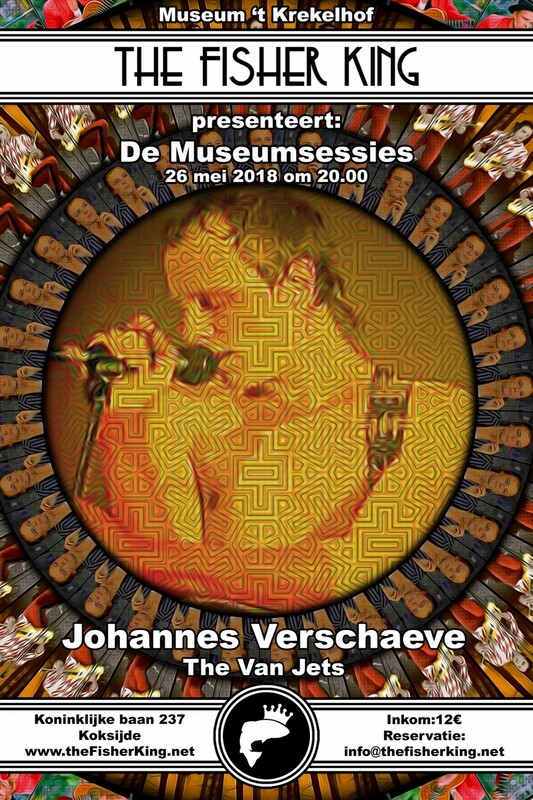 Winner of Humo's rock rally in 2004 Johannes Verschave and the van Jets have come a long way. It is a great honour to have this talented artist on our carpet for a museumsession at The Fisher King. info and reservation : info@thefisherking.net.